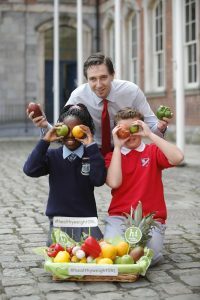 At St Audoen’s NS we provide healthy lunches for every child. Good nutrition is critical for children’s long and short term health, including physical and cognitive development. 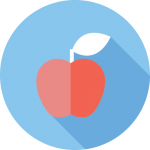 The children may choose from a menu of lunches including; fruit snacks, salads, filled rolls, brown bread sandwiches and much more, this is provided in a personalised lunch bag each day from Glanmore Foods. We encourage children to bring a reusable bottle to school filled with water. We do not permit any dilutable drinks, however if your child does enjoy a sweeter drink, why not try putting a slice of lemon, lime, oranges or some berries into their bottle each day! A much healthier alternative to sugary drinks! Each child is offered milk in school each day. Sweets, crisps and similar treats are not permitted, we do however allow occasional treats as rewards or special occasions. In winter fresh soup is made daily and available to every child.